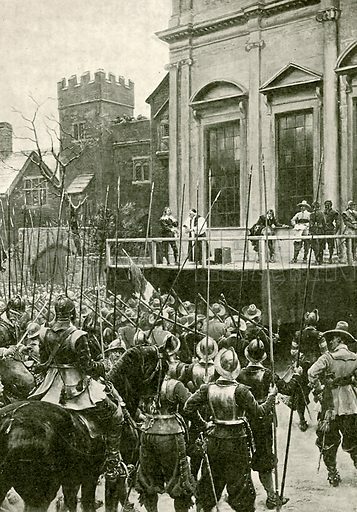 The execution of Charles I. Illustration for Newnes' Pictorial Knowledge (1932). Available worldwide for immediate download up to 3,343 x 4,787 pixels.